They couldn’t be more different… or more completely perfect for each other. Claire McKenna knows about loss. The bullet wound that ended her promising professional tennis career drove her to make a quiet life for herself working with fabric samples, chatting with her book group, and spending time with her parents in her sleepy coastal Connecticut hometown. Then there was the boyfriend who dumped her to pursue her adventurous childhood friend. Now, Claire’s business has hit a financial snag, but she’s up to the challenge. After all, she can survive anything. At least she thinks so… until her teen crush, Logan, returns to town with his sister, Claire’s traitorous friend. Tragedy struck Claire McKenna when she was approaching the top of her tennis game. Not only did it shatter her dreams of a professional career, it shattered the way she moved, the way she walked, and her self-confidence. Cocooning herself in Sanctuary Sound, she's made a comfortable life for herself. Until one of her best friends steals her boyfriend and once again made her the object of pity. Then Logan Prescott returns to town along with his boyfriend-stealing sister. He's always admired Claire and now wants nothing more to resolve the pain of betrayal between Claire and his sister. However, once he gets to know Claire again, he likes the woman she's become and he is now determined to break Claire out of her shell. I really enjoyed this book, the way Claire's feelings were so heartfelt and real leaving the reader knowing exactly what she was going through. This is the second book in the series – and I would recommend that you read them in order, as you will meet Claire and her troubles in that book too. It will help you understand just how traumatic the split in the friendship between her and Peyton was, and the difficulties faced by Steffi as she is close to them both. Small town life means that she lives in a gold fish bowl but has no prospect of leaving. As the story progresses, it is easy to see how she has been trapped, and how her loving parents have increased the strength of her fears. Logan, Peyton's brother, has brought Peyton back to their family home to recover from her breast cancer treatment. He has known Claire all her life due to her friendship with Peyton, and he's well aware of her childhood crush on him. But right now, everything is broken and he is doing all he can to make Peyton happy. So it is inevitable that he will have to work on restoring some of the threads that held the friends together. Finding that he finds Claire to be beautiful, talented, and yet clearly closed off from life, he has a second mission – to make her break out of her prison. You may surmise from this that Logan is driven and determined. He really is, and yet he does it out of love, even if he hasn't worked that bit out yet! It is moving, and also fun watching the two of them come to a position of unexpected mutual happiness. Amazing how both bending a little can make such a positive contribution to a relationship! I enjoyed how there are some fascinating real issues of ethics and morals balanced with real life and love – how do you hate someone who stole your boyfriend, yet is suffering from cancer, and he left her as soon as he found out? Having been shot in a freak accident, how do you ignore the facts about the danger of guns, crowds and traffic, and manage to enjoy yourself in spite of the possibility of another injury? When is place a home – when beautifully decorated or when the person you love is there too? I am looking forward to the next installment in this lovely series. 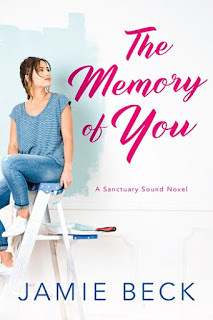 For reviews & more info, check out our The Memory of You post. National bestselling author Jamie Beck’s realistic and heartwarming stories have sold more than one million copies. In addition to being named a 2017 Booksellers’ Best Award finalist, her books have also hit Heavy.com’s Top 10 Romance Novels of 2015 and been selected as a Woman’s World Book Club pick. Critics at Kirkus, Publishers Weekly (including a starred review), and Booklist have alternatively called her work “smart,” “uplifting,” and “entertaining.” In addition to writing novels, she enjoys dancing around the kitchen while cooking, and hitting the slopes in Vermont and Utah. Above all, she is a grateful wife and mother to a very patient, supportive family. 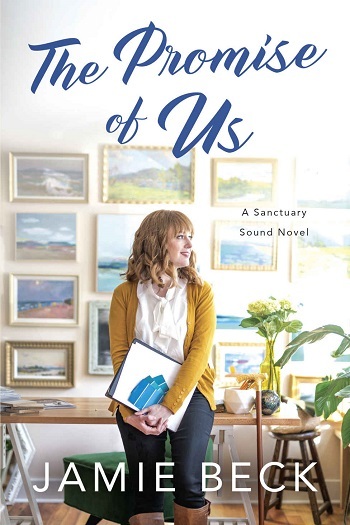 Reviewers on the Wicked Reads Review Team were provided a free copy of The Promise of Us (Sanctuary Sound #2) by Jamie Beck to read and review.